Spring has arrived in Zurich as soon as the Böögg’s head has exploded. 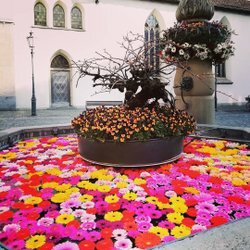 When in April the first flowers and trees start to bloom, the temperatures rise and the days become longer, the people of Zurich celebrate their traditional spring festival: Sechseläuten, or “Sächsilüüte” as it is known in local dialect. 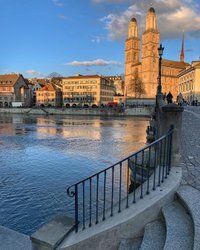 Where this tradition originates, who plays the leading role, what the Zurich guilds have to do with it and what happens when, you can find out here. Every April, the Zurich guilds celebrate Sechseläuten. But where does this custom originate? Information about the Festival program and the route of the Sechseläuten parade. Interesting facts and curiosities relating to the Sechseläuten tradition in Zurich. The Böögg builder is particularly familiar with Zurich’s highlights – here are his tips. 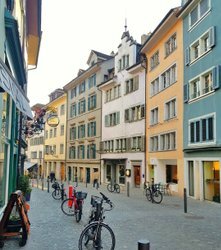 The tour explores the history of Zurich´s guilds, whose traditions continue to be celebrated today. Right up until Sechseläuten, fans can grab a photo with the Böögg at the Tourist Information.